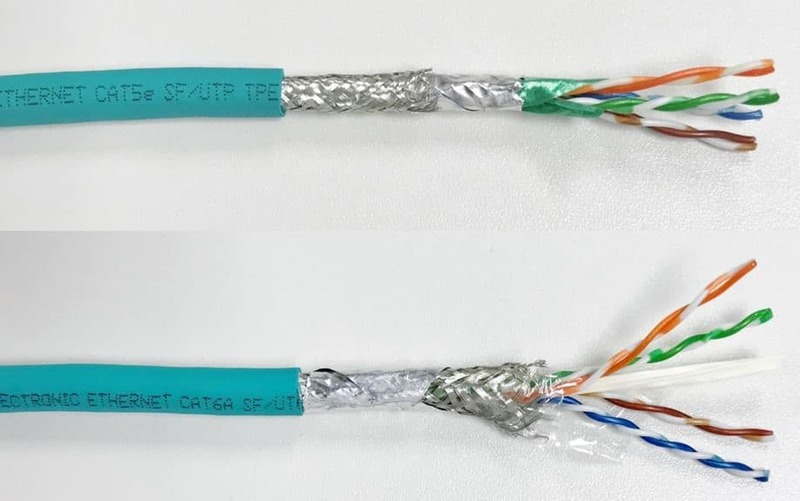 LUTZE Announces Ethernet Cable for “Flex and Twist” Applications - Allied Automation, Inc.
LUTZE is introducing two shielded MOTIONFLEX Ethernet cables with teal TPE jacket: #A1040020 CAT5E SF/UTP (4x2xAWG24) and #A1040030 CAT6A SF/UTP (4x2xAWG24). Suitable applications include moderate linear flexing and torsion (+/- 270⁰), free flexing, and static installations. A rugged TPE jacket provides resistance against many physical and chemical environmental hazards. These cables are UL Listed Type CMR, CMX Outdoor and UL Recognized AWM 2463 80°C 600V, have Oil Res II and are sunlight resistant. This allows our MOTIONFLEX cables to be installed wherever your application requires. LUTZE MOTIONFLEX cables are versatile, with construction and approvals for both plant and machine level. With a wide a variety of cables, connectors and connectivity solutions, LUTZE is a complete solutions provider for industrial Ethernet applications. These cables complement LUTZE’s already broad Ethernet cable and connectivity product solutions. Call us today at 317-253-5900 for more information on our LUTZE products.